Mushroom Model Publications is based in the UK. All their books are printed in Sandomierz. Poland in the English language by their associate Stratus Publications. Stratus does their own line of books in both English and Polish. 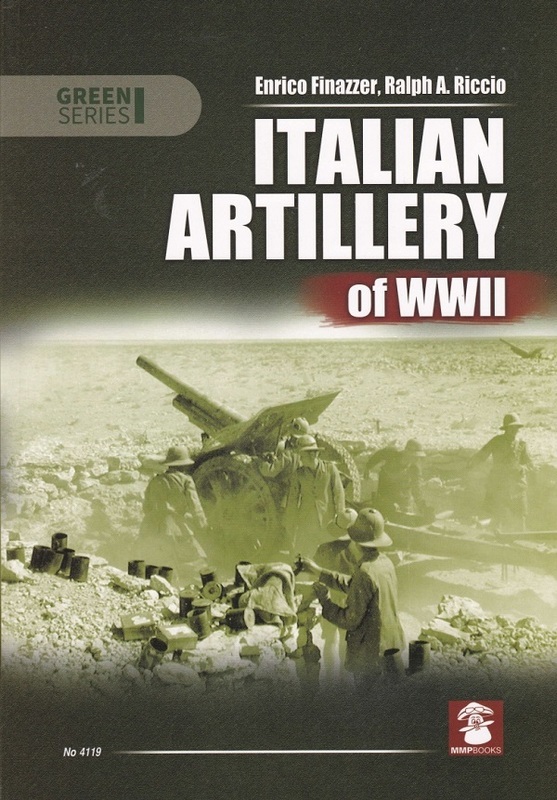 This book covers technical aspects of the artillery pieces used by the Italian Army during WWI. It covers WWI guns of Italian origin, German or war booty guns, self-propelled guns, artillery tractors, technical details and scale plans of every described piece. The book is soft cover of 160 pages in 8 ¼” x 11 ¾” page format. It contains 196 black and white wartime photos, 46 line drawings, 47 specification lists about each of the guns and 2 Ansaldo Company posters. The back cover of the book has 4 color illustrations of Italian uniform patches. Highly recommended. This book will be of great interest to modelers and WWII historians and enthusiasts alike. My lament has always been how few Italian WWII AFV kits there are. No artillery that I’m aware of and only 2 or 3 kits of Italian infantry. I want to thank Dr. Roger Wallsgrove, Editor-in-Chief of Mushroom Model Publications and the folks at Casemate who sent me this review sample.